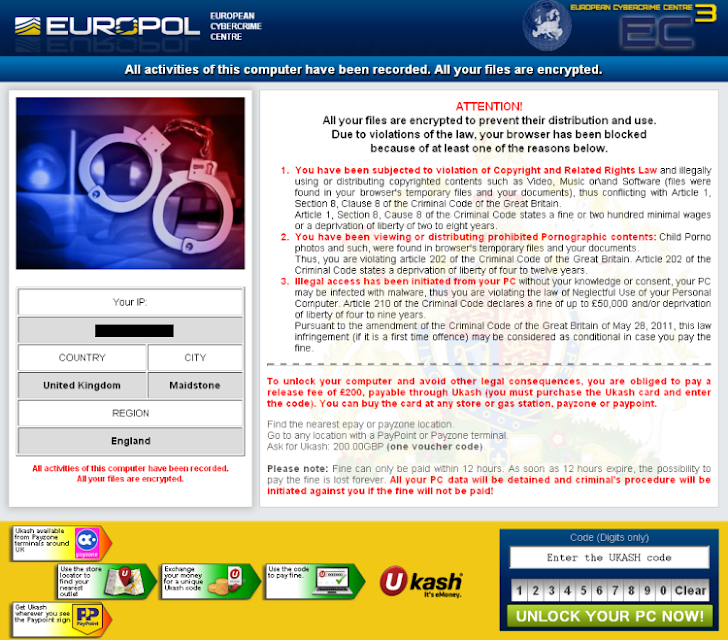 What would you do if a European Cybercrime Agency locked your PC until you paid a fine? 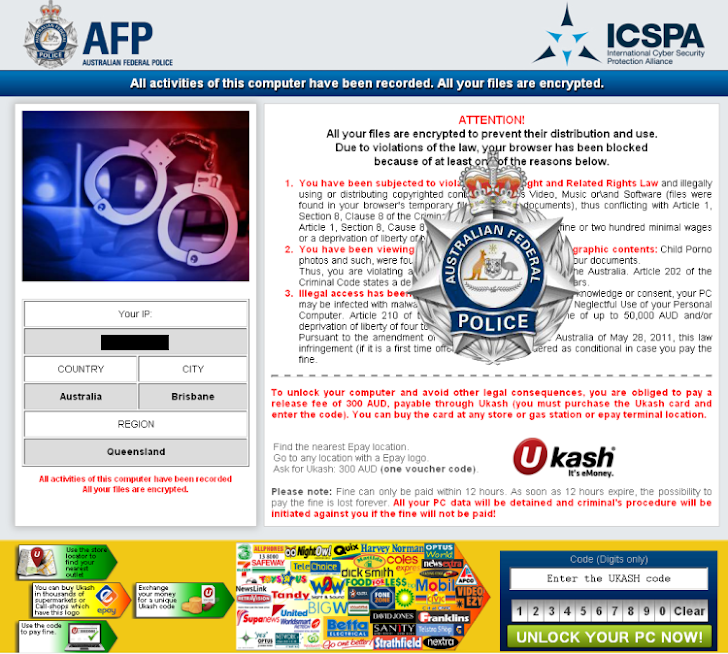 A new Police Ransomware family dubbed Trojan:HTML/Browlock by F-secure Antivirus firm, known as Browlock, which spreads by tricking unsuspecting web surfers into believing the police are after them. Ransomware is malware that, when installed on a device, can be locked down from remote locations by cyber criminals. Usually, ransomware appears to be an official warning telling the user that the computer has to be locked because it showed illegal activities and payment is necessary to access files. Ransomware is a global phenomenon, but the criminals have learned to localize and customize their software to make the threat seem scarier so that victims act quickly before they have time to think. Researchers said they are tracking this Malware from a while ago and now crooks behind the malware ate targeting users from some new countries including the United States, Canada and the UK. F-Secure traced the data from an attack to a server in St. Petersburg, Russia. If users surf to a compromised site foisting the scam or click on a malicious ad, their screen becomes locked, and a message is displayed. In Browlock, The messages are customized to appear like they come from federal authorities in the victim's home country or region, including the European Cybercrime Centre and the Royal Canadian Mounted Police. "We did notice that the fine has dropped from 250 CAD to 150 CAD compared to a previous lock screen below. It seems that in today's economy, even ransomware victims can't be expected to pay up such high prices." It’s conservatively estimated that more than $5 million a year is being extorted from victims. Ransomware is just like any other computer infection, but it can be potentially worse since it can cause permanent damage, such as deleted files and files that become encrypted forever. If you think you're safe from Ransomware because you own a Mac or Linux, think again. Scammers are now targeting all platform users including iPhone and Android.